Move over hot chocolate, we have a new sweet snack in town! 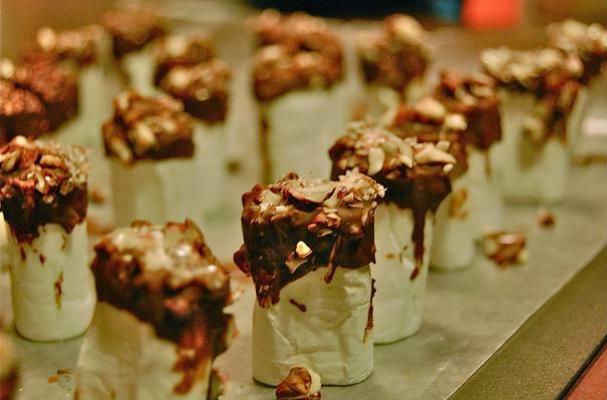 These marshmallows are not only perfection unto themselves, but they are ramped up with a dip in the chocolate pool, and then adorned with crushed peppermint sticks. How lovely and just a bit out of the ordinary!